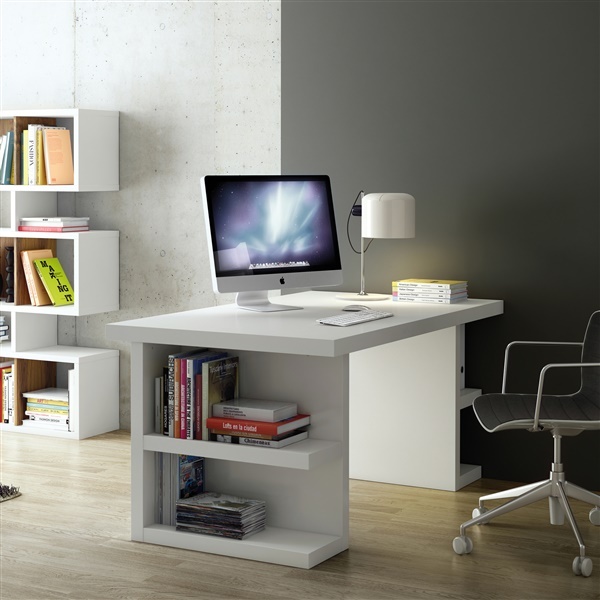 The Multi 63" Table Top with Storage Legs is a great functional piece for any home office space. Made using the highest-quality materials, this piece is sturdy to provide long-lasting strength and use. Each wide, supportive leg features two shelves so you can keep books and papers organized. In addition, these perpendicular legs provide ample room so you can stretch out your legs while you work. Boasting clean sleek lines and offered in your choice of color, the Multi 63" can be seamlessly incorporated into a vast array of decors.